will grow with them. Starts as a newborn blanket, becomes a toddler lovie. 100% polyester microfiber - machine wash/dry - Lifestyle Pink is a new Mossy Oak pattern with a darker more subdued pink that camouflages baby's messes in girlie pink camo style! 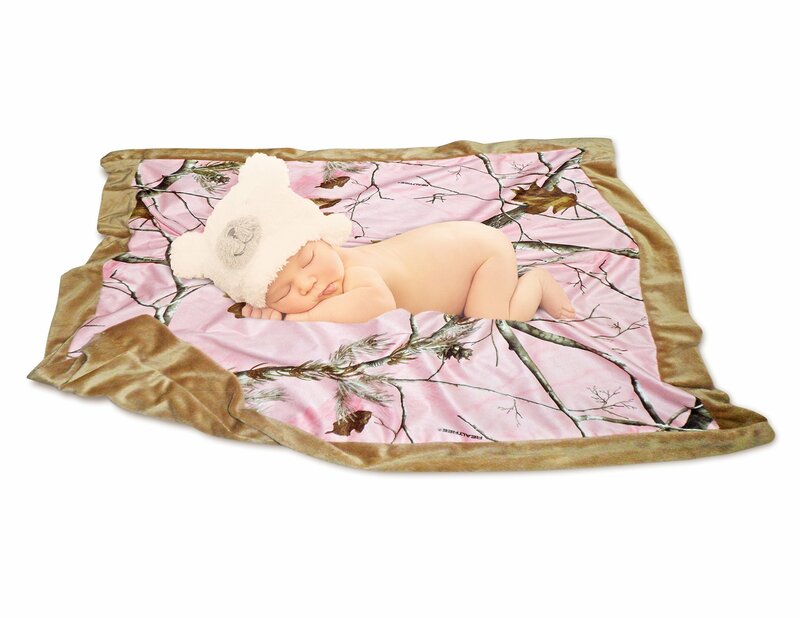 Mossy Oak Lifestyle Pink is a new pattern with a more subdued slightly darker pink - great for camouflaging those baby messes but still is "girlie pink camo"
Faux fur Trim polyester microsuede 34x34" baby blanket - Mossy Oak Lifestyle Pink is slightly larger at 34x40"